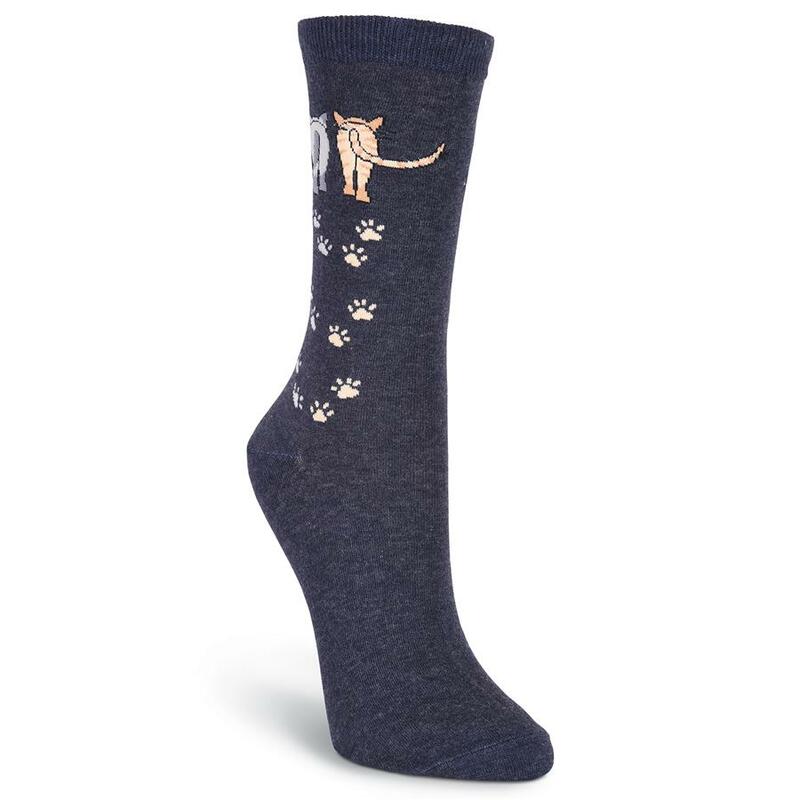 Strut your stuff in these fun and fanciful cat socks! Features a pair of sassy cats walking away, leaving adorable paw prints behind them. Navy.